After you read this article, you’ll never look at eggshells in the same way again. Among the other facts about eggs that I learned in this post by Jillee of One Good Thing, is what causes the color of an egg shell to be white or brown. I won’t give away the secret but it’s really amazing. 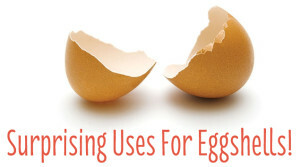 Click the 15 Surprising Uses For Eggshells link below to read Jillee’s fascinating article.